Tag Archive | "Kylee Hall"
Kylee Hall, the daughter of Todd and Mary Hall of Cedar Springs, enjoyed one of the last fall weekends of fishing at Lincoln Lake. She was so excited to have the first catch before dad and mom! 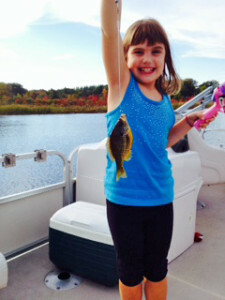 This 8-year-old loves her fishing trips to the fishing hole. Congratulations, Kylie, you made The Post Catch of the Week!